This week we’re pleased to cast the spotlight on HelloFax — an online, document signing and faxing service based in San Francisco, CA. 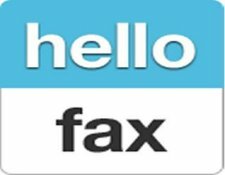 Fundamentally, HelloFax is a service that allows you send documents electronically to a traditional office fax machine. 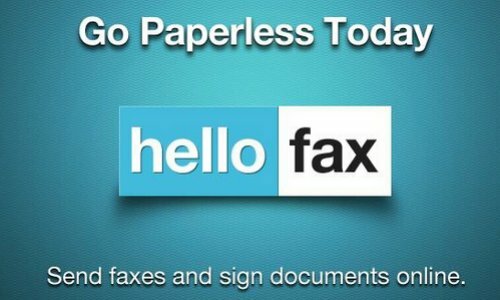 HelloFax stands out from other similar services because you can also sign these electronic files (and request signatures) without the aggravation of printing, signing, scanning and resending the original documents. You can sign up for a free account at HelloFax.com. This entitles you to send a total of five fax pages, and add your electronic signature to unlimited emails. HelloFax is also an official launch partner of Google Drive. If you access HelloFax through a Google Drive account, you’ll get up to 50 free fax pages per month, for a limited time. HelloFax has a number of paid plans, depending on your faxing and document signing needs. Today, HelloFax has a strong client base in the real estate, banking, and legal professions, where sending and receiving signed documents is an occupational necessity. But it didn’t start out that way. The frustration of having to deal with the insanely unproductive task of faxing — and dealing with electronic documents that needed to be signed — led CEO Joseph Walla and co-founder Neal O’Mara to start HelloFax in the first place. “We actually started out with prosumers and small business owners in mind, because we were those people,” Walla says. For example, a typical scenario requiring signed documents starts with someone sending unsigned documents to a recipient. Assuming the source documents were PDF files sent electronically, the recipient has to print and sign those documents, scan them, upload them to email, and resend them to the original sender. If you’re a real estate agent in the field, for example, this usually means an inconvenient, time-consuming, (and sometimes costly) trip to your local business centre to do the grunt work required to complete this transaction. Even if you work from a home or small office, chances are you don’t have a scanner, printer and fax machine. So, your choices are limited if you need to send and receive faxes or signed documents. Instead, you can log in to HelloFax, and easily send and receive signed documents electronically — using any device that can connect to the Internet. According to the website, “faxing was just the first target”. HelloFax is committed to revolutionizing “every single process that requires paper — and digitizing the workflow.” Read on to see how you and your business might participate in HelloFax’s paperless revolution. In the two years or so since they launched HelloFax, these startup entrepreneurs and their team in San Francisco are constantly brainstorming new features to include in the HelloFax service. Digging around a little on the HelloFax website, you’ll find that Walla is currently looking to fill no less than four developer positions. Business is booming in the paperless space, apparently! When asked if HelloFax is looking to partner with other businesses, Walla says that he’s open to speaking with anyone in the real estate, legal or related professions who’s interested in improving the document workflow in these sectors. “We’ve got a number of cool new things in store, in a number of different areas,” says Walla. 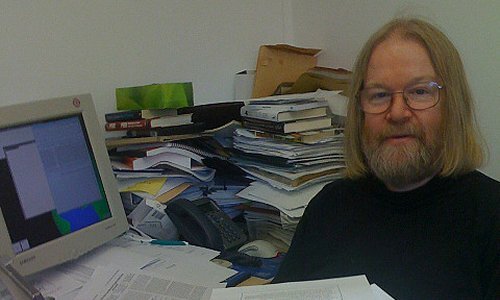 He encourages potential clients, and partners, to reach out to him and his team through the HelloFax website and through its account on Twitter. 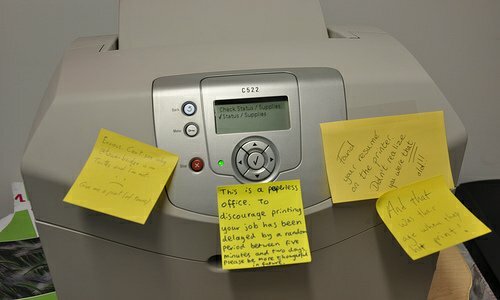 When was the last time you had to send a fax? Was it a painful experience? Let us know in the comments below.